Nature’s Path is celebrating Canada’s National Organic Week this week (September 19 through 27th) and they have teamed up with some fabulous brands to offer a sweet giveaway to my readers! Want to see what’s inside? Good, because I’m going to share! Nature’s Path yummy granola: Pumpkin Flax Granola and Coconut Chia Granola. My oldest daughter loves to make yogurt parfaits for breakfast with the granola, vanilla yogurt and fresh berries. Add a box of the tasty Flax Plus Flakes Cereal to the mix. 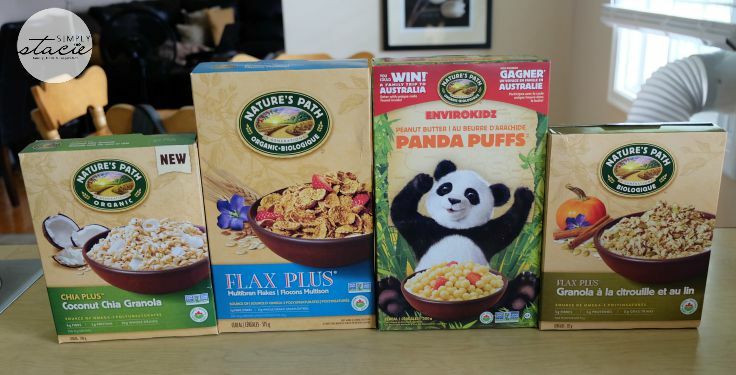 EnviroKidz Peanut Butter Panda Puffs Cereal which is a healthy and tasty breakfast kids (and adults) love. 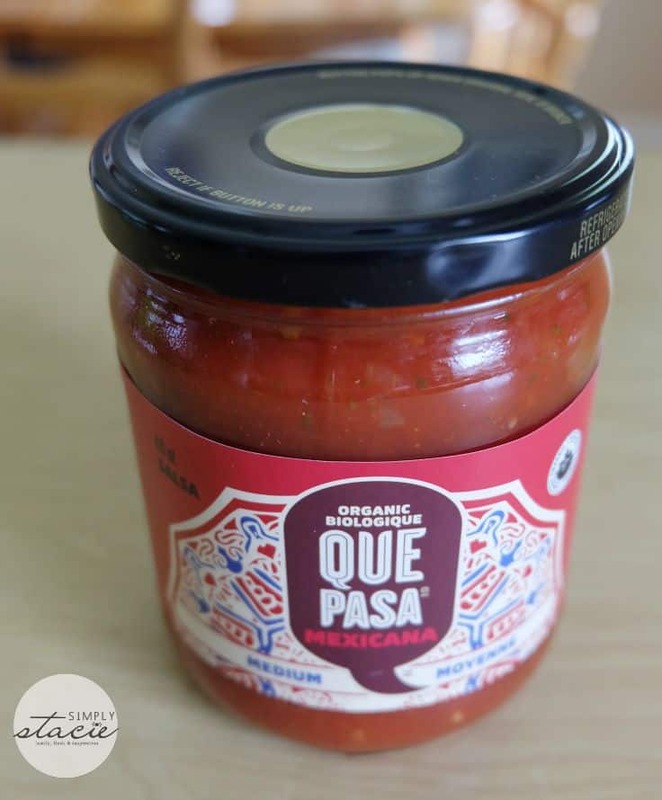 Que Pasa Mexican Foods premium organic salsa mmmmmmmm. Try it on nachos next time. So good! Amy’s Kitchen Lentil Vegetable Soup is packed with green beans, tomatoes, spinach in a lentil base. It’s also vegan, gluten free and dairy free. 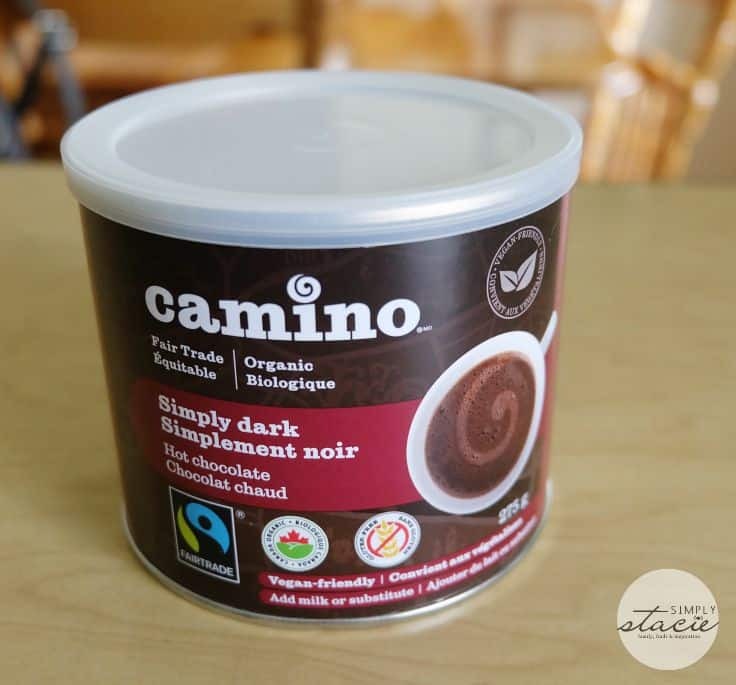 Camino Simply Dark Hot Chocolate is rich, smooth and perfect to satisfy your chocolate cravings. It’s made with only dark chocolate and was created for people who can’t have dairy. I used a scoop to make frosting for cupcakes recently and it turned out amazing! 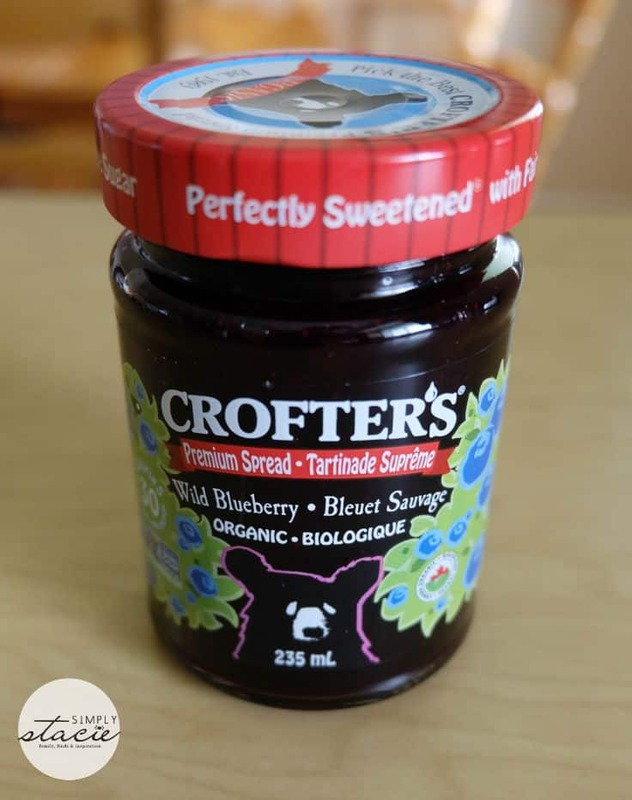 Crofter’s Organic Jam is made with Crofter’s lowbush blueberries that are wild harvested in Quebec. These little blueberries are bursting with flavour despite their small size. I like it on an English muffin for breakfast. Earthbound Farm Organic has lots of healthy choices including Kale, Salads, Smoothie Kickstarts and more. Use your free coupon to pick up your favourite product. I want kale so I can make some kale chips with Parmesan cheese and garlic. 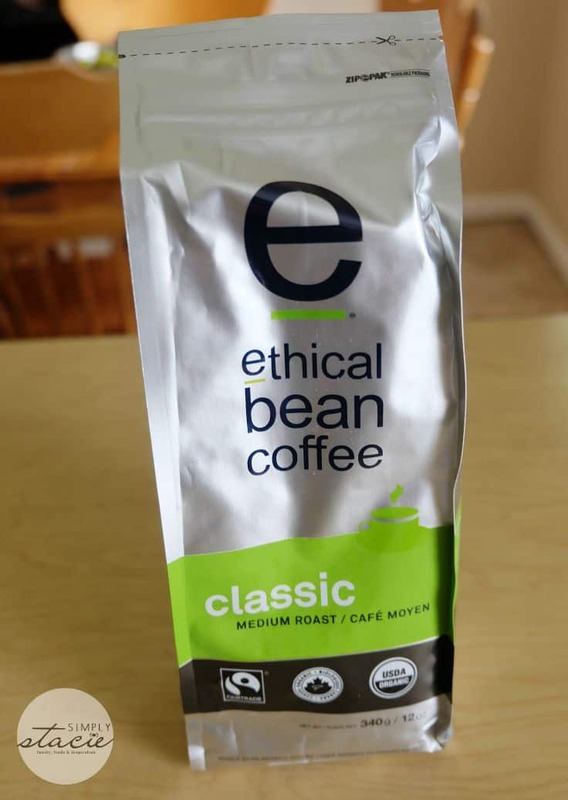 Ethical Bean Coffee strives to be the best Fairtrade certified organic coffee ever. As someone who drinks multiple cups a day and enjoys grinding beans, I’d agree that they make a delicious cup of coffee. Happy Planet Fresh Soups draws their inspiration from world cuisine. Their soup is made in small kettle batches in BC & Ontario. Their new single serve organic Portuguese Kale & White Bean Soup sounds like something I’d enjoy! 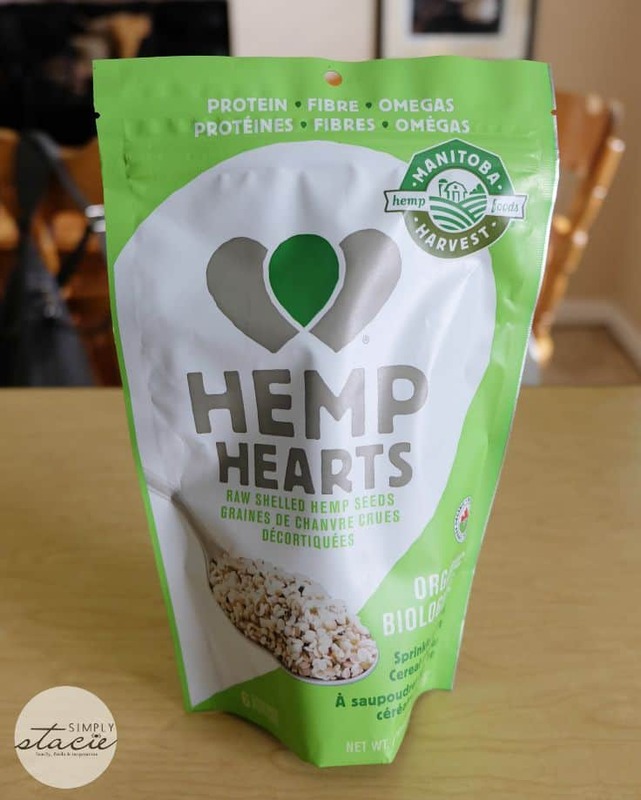 Manitoba Harvest Organic Hemp Hearts have many uses and are packed with protein and omegas. Use them in salads, cereals, yogurt, baking and more. I like mine on top of my oatmeal. PRANA Kilimanjara Organic Deluxe Chocolate Trail Mix hits the hunger spot! It has vegan chocolate chunks, nuts and dried fruits. Yum! 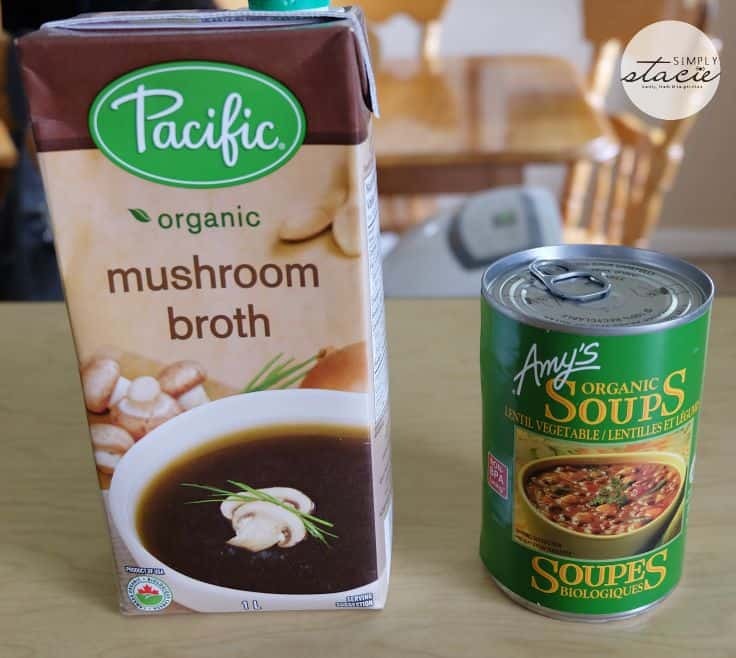 Pacific Foods Organic Mushroom Broth is made with a blend of mushrooms, garlic and seas salt. Use this broth in soups, risottos, pasta and more. Silver Hills Bakery has a new product Big Red’s Bread that is packed with 21 ancient grains and seeds. Have a slice of toast with your Crofter’s Organic Jam. Which of these products are you looking forward to trying the most? I’d like to try the Camino Simply Dark Hot Chocolate. 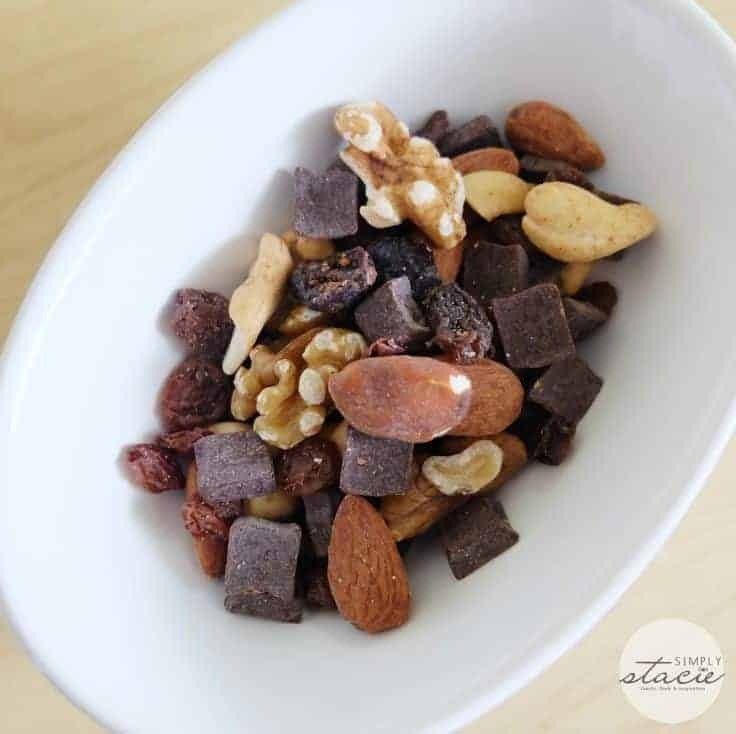 The PRANA Kilimanjara Organic Deluxe Chocolate Trail Mix, it looks so delicious!